Bible Pork’s neighbors sued them because, in their opinion, the odor produced in the hog factory was a public nuisance. They demanded that Bible stop operations and to provide other relief to the community. Bible turned to Country Mutual for coverage but it was denied on the basis that there was no occurrence and, even if there had been an occurrence, it was excluded under the pollution exclusion. Bible turned to the courts for help. See how the courts ruled. 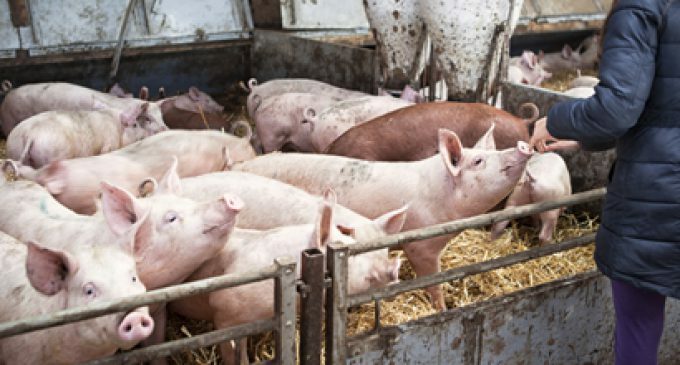 In May 2005, Bible Pork began the lengthy process of obtaining approval from the Illinois Department of Agriculture (Department) to begin constructing a new hog factory in Clay County. The construction required compliance with the Livestock Management Facilities Act. Eventually, the Department approved the plans, groundbreaking began in October 2005, and Bible Pork was operational in June 2006. Twenty-one plaintiffs filed an underlying lawsuit against Bible Pork during the construction project. They sought to have the facility deemed a nuisance due to anticipated “disagreeable noises, odors, dust particles, surface water contamination, and loss of property values which would interfere with their lives and render the facility a public and private nuisance.” Their complaint included “such other relief as deemed appropriate.” Bible Pork notified its insurer, Country Mutual, requesting defense and indemnity under two policies: (1) Agriplus Farm Liability Policy and a Farm Umbrella Liability Policy. Country Mutual denied the claim under both policies because the complaint did not include an occurrence as defined, typically, sudden and accidental. In addition, there was no indication of damages only a declaratory judgment. Further, Country Mutual denied coverage, citing the pollution exclusion. Bible Pork continued to inform Country Mutual of developments in the underlying case and advised the carrier that plaintiffs were seeking both monetary damages and injunctive relief. As a result, Bible Pork asked Country Mutual to reconsider its denial of coverage and defense. Country Mutual again denied in August 2008, and in September 2008, did file for a declaratory judgment that it had no duty to defend. On April 26, 2013, the trial court entered an order granting Bible Pork’s motion for summary judgment, finding Country Mutual owed Bible Pork a duty to defend in the underlying lawsuit. The trial court made four specific findings with regard to why there was a duty to defend. The underlying lawsuit was for damages under both policies seeking damages because the complaint included ““other relief deemed appropriate”. There was an occurrence as defined and the “expected or intended injury” exclusion did not apply. Allegations of contamination, depletion, and water contamination related to “physical injury to or destruction of physical property”. The pollution exclusion was ambiguous and therefore, did not apply. Country Mutual appealed the decision. The appellate court affirmed the judgment requiring Country Mutual to reimburse Bible Pork the $2,026.098.63expenses it incurred during the underlying plus accrued interest in the amount of $480,068.96. Can a nuisance be an occurrence? The insuring agreement in most general liability policies provide coverage only for damages due to bodily injury or property damage that are the result of or that arise out of an occurrence. The term occurrence is therefore essential to coverage. If there is no occurrence then there is no coverage. Read the PF&M analysis of the ISO Commercial General Liability Policy Insuring Agreement and the definition of occurrence. This coverage form begins by stating that certain of its provisions restrict coverage. It encourages the named insured to carefully read the coverage form in order to understand each party’s rights and duties and to determine what is covered and not covered. It also points out that the terms “you and your” refer to the named insured and that an insured is any person or entity that qualifies as such under Section II–Who Is an Insured. 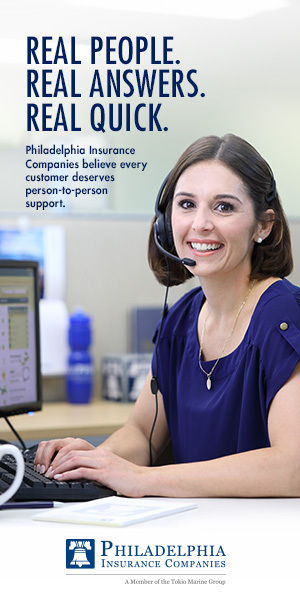 The terms “we, us, and our” refer to the insurance company that provides the coverage. Reference is made to Section V–Definitions because understanding the definitions is critical to understanding the coverage form. The insurance company agrees to pay amounts the insured is legally obligated to pay as damages for bodily injury and property damage that this insurance covers. It also has the right and duty to defend the insured against any suit that seeks those damages but only those suits that seek damages that this insurance covers. The insurance company can investigate any loss and settle any claim or suit that results at its discretion, but the amount it pays as damages is limited as described under Section III–Limits of Insurance. Its right and, more importantly, its duty to defend ends when the limit of insurance that applies to pay judgments and settlements under Coverage A or Coverage B or medical expenses under Coverage C has been exhausted. The insurance company has no other obligation or liability to pay sums or perform acts or services except for those specifically listed and described under Supplementary Payments–Coverages A and B. The Road Runner sues Wiley Coyote for numerous attempts on his life. The insurance company is not obligated to defend Wiley because the CGL Coverage Form does not insure intentional acts. Feels Good Mutual insures Eric’s Etchings under the CGL Coverage Form with a $1,000,000 General Aggregate Limit. An explosion occurs as a result of Eric’s negligence and a number of persons are injured. In addition, several adjacent properties are damaged. Each injured person and property owner files a separate claim for its injuries and damages and Feels Good begins to make settlements. Once the $1,000,000 General Aggregate Limit is used up, Feels Good has no further obligation to pay for injuries or damages or to defend against any lawsuits that might be filed. Note:� The payments must actually be made or deposited with the court before the obligation to defend ends. Example:� Charlie’s Custom Machinery has an operation in Ireland that both manufactures and distributes his products. There is no coverage for loss or injury in Ireland because of the definition of coverage territory. However, Charlie manufactures some products in the United States and sells them in Ireland. Loss or injury from these products meets the definition of covered territory as do loss or injury from products manufactured in Ireland that Charlie distributes in the United States. Coverage applies only if, prior to the policy period, no insured or employee authorized to give or receive notice of an occurrence or a claim or knew that the bodily injury or property damage had occurred. Example:� On 08/01/16, Keith’s Excavating Company taps the gas line on Kingsley Drive. This results in gas escaping from the line. Paul operated the backhoe at the time and was new on the job. He knew that he caused some damage but did not notify anyone for fear of losing his job. Keith’s policy period is 09/01/16 to 09/01/17. A gas line explosion occurs on Kingsley Drive on 10/01/16. The investigation reveals the damage to the gas line and Keith is sued for contributing to the 10/01/16 explosion. Because no one at Keith’s, in a position of responsibility, knew about the prior year’s property damage, the current policy period’s coverage responds to the 10/01/16 claim. If either an insured or an authorized employee knew about any bodily injury or property damage, any continuation, change, or resumption of such bodily injury or property damage during or after the policy period, it is considered to have been known before the policy period. Example:� Continuing the example above, this time Paul tells Keith what he did. Keith notifies the gas company to alert it to the problem. The gas company agrees to investigate and adds it to the stack of items to check. When the explosion occurs, Keith’s current policy does not respond because of the prior incident. However, the policy that covered the prior period should respond. Bodily injury or property damage that occurs during the policy period but that is unknown by any insured or employee authorized to give or receive notices of claims prior to the policy period to have occurred includes any continuation, change, or resumption after the policy period ends. Example:� Speedy Plumbing sends Charlie to install a hot water heater in a vacant unit in the Golden Heights Apartment building. Charlie does not close the faucet properly when he leaves. Because the unit is vacant, nobody notices the constant drip that occurs until the ceiling of the unit below it collapses. Speedy Plumbing’s coverage runs from 10/01/16 to 10/01/17. Charlie installed the water heater on 09/15/16 and the ceiling collapsed on 10/30/16. The policy that runs from 10/01/16 to 10/01/17 pays the loss. On 10/15/17, the tenant in the previously vacant unit falls through the floor of his unit into the one below it. The claims adjuster determines that the water leak weakened the floor joists and Speedy Plumbing is sued again. While the injury occurs on 10/15/17, the policy that ran from 10/01/16 to10/01/17 responds because this injury is a continuation of the prior loss. Bodily injury damages include damages that any person or organization claims for care, loss of services, or death that results from the bodily injury at any time. Defined words are used throughout the coverage form. Some of the definitions expand coverage while others restrict coverage but all are designed to provide a clearer understanding of the coverage intention. Twenty-two terms are defined. This is an accident. It includes continuous or repeated exposure to essentially the same harmful conditions. Bible Pork was a large commercial hog operation. This type of enterprise requires coverage that is a mixture of commercial- and farm-type coverages. However, many farmowner agents may steer away from larger farm operations because of an uncertainty of coverages to consider. If you would like to venture into farm-related exposures, an excellent starting place is the Coverages Applicable – Agribusiness Section. It lists a number of coverages to consider and provides a concise description of each. There are often links within that description to provide more in depth information. Insurance for agribusiness falls into three general categories. The first is property insurance on the buildings and the usually substantial amount of business personal property, including machinery, livestock, equipment and stock. The second is liability for both premises and products. The last is protection for worker injuries. Auto insurance should be written if the operation owns vehicles and especially if it transports its own products. Note: There may be significant personal lines exposures and those are addressed in the Personal Risks and the Farm and Ranch Chapters. This discussion concentrates on only the commercial aspects of an agribusiness operation. Agribusiness operations are not eligible for most businessowners programs but commercial coverages can be conveniently combined under a commercial package policy. Larger agribusiness risks should consider writing their insurance coverage under an agricultural output policy due to its flexibility and additional coverages. Equipment Breakdown Protection may be provided in the agricultural output policy or written separately. The coverage is extremely important because of the extensive use of machinery to control temperatures, monitor feed, milking and many more operations. Utility services direct damage coverage is an important optional coverage that should be considered because the agribusiness risk depends on an uninterrupted source of power for its continuing operations. Animal mortality, transportation and electronic data processing are three vital inland marine coverage needs. Livestock operations have significant exposures to all three because of the potential for significant loss when animals are kept in a single building. Transporting live animals can be very hazardous especially on narrow rural roads. Electronic Data Processing coverage is also extremely important because all agribusiness operations are becoming dependent on it for communication and also for efficiently managing all aspects of the processing. Loss of crops or livestock can financially ruin an agribusiness operation. Therefore, special coverages are available specifically to cover these unusual loss exposures. The market is limited because of the unique nature of the exposures, and the specialized knowledge necessary to underwrite and price the risk and to adjust any claims. The primary crime exposure for agribusiness operations is employee theft of inventory. Theft of money and securities exposures may be present if retail and wholesale operations are conducted. Extortion and kidnapping may be a concern with valuable livestock and horses. Internet sales may also create exposures. Agribusiness operations having contracts to supply products to government entities are required to provide a contract-performance of service or supply bond. Other bonds may be required, depending on the actual operations performed or services provided. Tainted products are the biggest general liability concern for most agribusiness, but with the surge of agritourism, premises injury concerns are increasing. Some large operations have a railroad spur on their premises, which adds an exposure that can only be covered with a railroad protective policy. The agribusiness automobile exposure varies dramatically based on the particular type of operation. Those with livestock will have considerable more exposure than those that are grain. It is important to evaluate the drivers for experience in training in the particular transport because transporting live animals can be extremely difficult especially on rural narrow and winding roads. Most employers are required by state statute to provide coverage through a workers compensation policy for on-the-job injuries sustained by their employees. However, some agricultural workers are exempt from coverage so a voluntary compensation coverage endorsement should be attached to the policy in order to avoid coverage gaps. Farm workers have some of the highest rates of work-related injury, so coverage should be as broad as possible. Tainted food products can injure great numbers of people throughout a city, state, region or nation. Because the dollar impact of the damages can be catastrophic, additional excess or umbrella limits of insurance are needed. If coverage is written on a claims-made underlying policy, retroactive excess liability coverage should be considered. Ocean marine cargo coverage should be considered for goods shipped overseas. Since the policy has war risk exclusions for certain geographical areas, the status of countries purchasing the goods should be reviewed and war risk coverage considered, if available. Loss exposures to agribusiness operations are different, depending on the types of operations conducted, the nature of the customers and the countries where the products are sold. The coverages provided by the following policies may be particularly helpful to certain customers. Environment impairment and pollution-related items are of particular concern with the increased emphasis of waste disposal and ground water contamination. Very few agencies can specialize in only farm-related operations but many can incorporate farm-related risks into their books of business. Although most farm business is located in rural areas, farm exposures are present in (or refusing to leave) suburban areas. Urban farming is also increasing as families are discovering how to farm on less than an acre of ground. Here is an article from Rough Notes Magazine about an agency that works with its farm neighbors but has also expanded into commercial and personal lines. He asked his son and daughter-inlaw, Joe and Sue Wilkinson, who had a hardware store located across the street from the bank, to be partners in the insurance agency. And so it was that the Wilkinson Agency had three part-time people running it. Manley was busy at the bank. Joe was busy at the hardware store, as well as working as an electrician and U.S. postal rural mail carrier. So Sue took on most of the insurance work. At the time, Joe and Sue also owned several rental properties; at one point, they owned 30 pieces of real estate and were responsible for maintaining those properties. It’s an understatement to say they were extremely busy people. She also has opened up a new niche at the agency—the high net worth market— and is working toward earning her Certified Personal Risk Manager (CPRM) designation. (I guess opening up a new niche and studying for a new designation is June’s way of slowing down; we each have our own definition of that term.) June already has earned the Certified Insurance Counselor (CIC) and Certified Professional Insurance Agent (CPIA) professional designations, and has served as president of the American Insurance Marketing & Sales (AIMS) Society, which confers the CPIA designation. “When I joined the agency, we were primarily a personal lines agency,” June says. 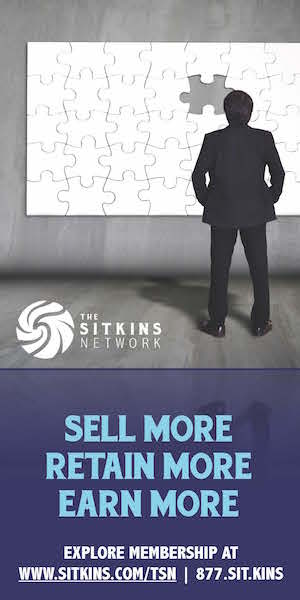 “But I recognized that we were missing an important market, even if we just concentrated on crossselling our current clients, many of whom were business owners. So I jumped in with both feet and learned commercial lines, and found out which companies wanted the small commercial accounts that we were developing. Community engagement is evident at the White House Public Library, where the Wilkinson Insurance Agency and Auto-Owners Insurance Company have teamed up to provide a courtesy mobile-device charging station for patrons.